MAKING CONNECTIONS, ONE VETERANS AT A TIME! 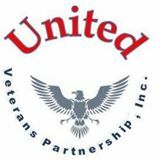 United Veterans Partnership, Inc. (UVP) is a non-profit 501(c)(3) community development organization that works with our partners to build more sustainable communities where veterans and their families live, work, play and pray. The UVP works closely with our partners to deliver programs that connect veterans to better housing and employment opportunities, financial literacy, business development resources and improved access healthcare and healthy food options. At the end of the day, our success isn’t measured by the number of awards we get or the money we have raised but, rather, by the number of veterans who are living a better quality of life because of a connection that we made. For two years, the United Veterans Partnership (UVP) has listened to, communicated with and learned from veterans and other members of the community that the most pressing need is employment and business opportunities after their service to our country has ended. UVP is our answer to helping Veterans find the opportunities need to continue to be successful in the next chapter of their lives. We are dedicated to helping veterans build communities through outreach programs and leadership development that focus on obtaining gainful employment, financial education, housing, entrepreneurial opportunities in business. Jobs/Jobs Training: Develop a comprehensive Accelerated Job Training Program to reduce the jobless rate among veterans and partner with local companies to keep veterans employed long after their military obligation has ended. Connecting the Veteran Workforce to Opportunities: Build stronger linkages between businesses and the central city workforce of veterans through partnerships with the Department of Veteran Affairs and other organizations that share the same goals of helping veterans achieve their goals. Greater Veteran Involvement in Economic Development: Increase the participation of veterans of veterans with assistance from the UVP on local and regional planning and project development efforts. 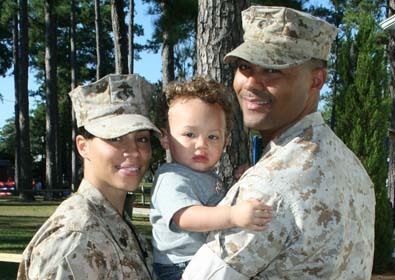 Community Development: Deepen thee impact of Veterans on the development of the community, including but not limited to; housing and housing development, economic development, financial education and training, and community leadership opportunities. Entrepreneurship/Small Business Development: Foster greater entrepreneurship in the community by guiding veterans on the creation and expansion of Veteran owned businesses and franchises. Posted in Career, Diversity, Leadership and tagged 501c3, Advice, Army, Business, Careers, Charity, Coast Guard, Community, Dedication, Diversity, Ethics, Giving Back, Helping Others, Home Ownership, Honor, Jobs, Marines, Military, Navy, Nonprofit, Reserves, Secret Service, Self-Help, Services, Strength, Veterans on November 3, 2015 by Nkozi Knight.